details and appointment times or click here. Please be aware we are sometimes experiencing difficulties with our phone lines and call diversion. If you have trouble reaching us via phone, please send an email to info@drbeulink.co.nz with your request, or try ringing the other clinic phone number. "Lessening the gap between the way you look and the way you feel"
Dr Robert and Ruth Beulink, a dynamic husband and wife duo with a dedication & passion for cosmetic surgery & appearance medicine since 1992. Dr Robert & Ruth Beulink, a dynamic husband and wife duo with a dedicated passion for cosmetic surgery and appearance medicine, offer cosmetic surgery NZ wide, operating clinics in both Auckland and Christchurch. 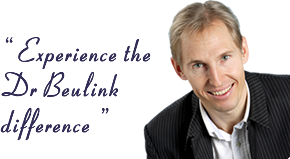 Passionate and driven to give his clients the results they desire, Dr Beulink is the cosmetic surgeon Auckland and Christchurch trusts. So if you're looking for Cosmetic Surgery Auckland or Christchurch, or want more info on cosmetic surgery NZ prices, get in touch with Dr Robert and Ruth today to find out what their NZ cosmetic surgery services can do for you! With over 25years experience in the field of cosmetic surgery, cosmetic and appearance medicine, Dr Robert Beulink was one New Zealand's first, and remains one of New Zealand's most trusted and experienced cosmetic practitioners. 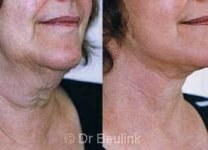 Be it lips to liposuction, Botox to breast fat augmentation, or cysts to face lifting, Dr Robert Beulink will have a cosmetic solution for you. Lost confidence in how you look? We can help you regain your confidence using simple cosmetic procedures. Dr Beulink has a variety of procedures on offer to give you that subtle yet dramatic freshen up to help you look and feel fantastic! Friends don't need to know and it doesn't have to break the bank. 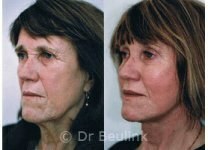 From little subtle changes to a whole lot more, Dr Beulink has a solution that's right for you. With over 20 years experience in the cosmetic field, Dr Beulink is unique in being able to personally offer you a full range of options, starting from the quick and simple treatments such as Botox® right through to more complex face lifting and volume restoration cosmetic surgery. A personalised, tailored result to meet your expectations and budget. Having problems shifting stubborn fat? Often, no matter how much dieting and exercise you do, these stubborn areas of fat just will not budge. You are not alone! This is a common problem which can be removed without the need of a general anaesthetic. Wanting to get rid of those unsightly leg veins? One in four people suffer from leg vein problems, but now you don't have to! 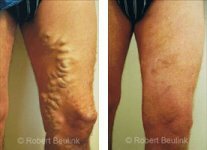 Dr Beulink is NewZealand's most experienced nonsurgical remover of varicose and unsightly veins, treating leg veins by injection since 1992. Get amazing results with no stitches, scarring or general anaesthetic. No veins are too big or small for this treatment! Click here to see what procedures may be right for you. The material contained in this website is intended for the education of prospective clients. Every effort has been made to ensure the accuracy of this information, some of which is based on Dr Beulink’s own personal experience and principles in the field of cosmetic medicine and surgery. Listed personal comments and opinions sections are exclusively those of Dr Beulink and may vary from those of other doctors. All procedural photographs on this website are of Dr Beulink’s own work and are presented in their original and untouched format, apart from where simple cropping and masking has been performed for the sole purposes of facilitating improved comparative viewing and for the protection of patient identities. Individual results may vary and no guarantees are given or implied. The information provided on this website is not intended to create, nor does it create a physician-patient relationship between you and Dr Beulink, and should not in any way be considered an alternative to a personalised one on one consultation and assessment with Dr Beulink or any other doctor competent in the field of cosmetic medicine or surgery. All images and written material on this website are copyright protected and remain the property of Dr Robert Beulink. No images may be reproduced in any form without the permission of Dr Robert Beulink.